St. Hilda’s Church in South Shields Market Place is a familiar landmark to locals and to visitors. There has been a church stood there continually since 647 AD and the present church is the Parish Church of South Shields. 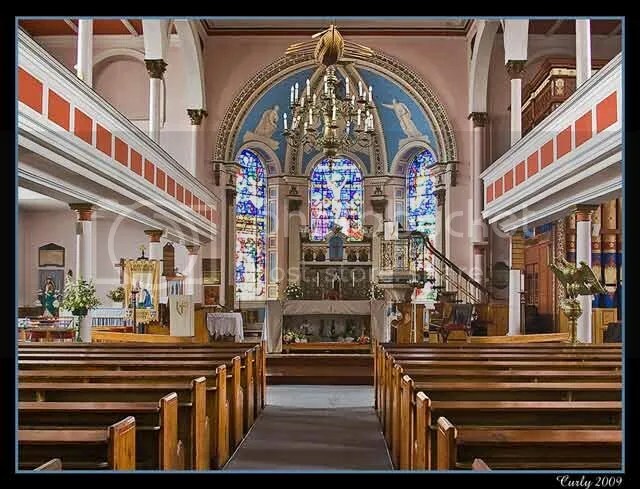 This is the view of the nave and the rather ornate altar and apse. A couple visiting South Shields Market Place examine the structure of the Old Town Hall before continuing their bargain hunting, with St.Hhilda’s church in the background. Converted to black and white then selenium tinted in Photoshop. South Shields Daily Photo had an “away day” yesterday and I visited Hexham in Northumberland, about an hour’s drive from South Shields. Most of the shops were closed as it was a public holiday, which was a shame. 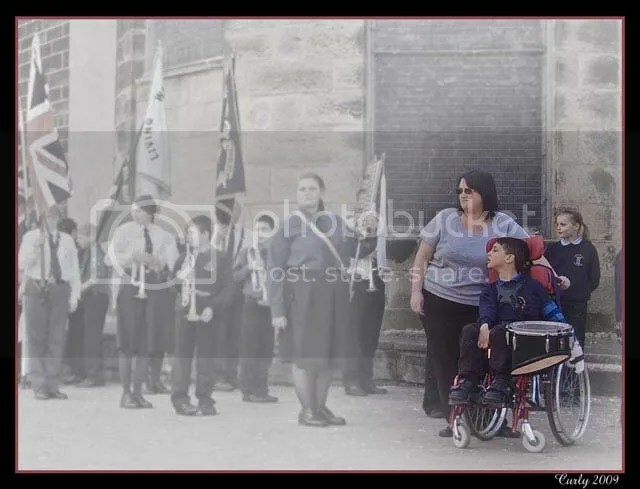 but we spent some time in the park enjoying the warm sunshine before taking a quiet look around Hexham Abbey. Of Wilfrid’s Benedictine abbey, the Saxon crypt and apse still remain. In Norman times Wilfrid’s abbey was replaced by an Augustinian priory: the church you see today is mainly that building of about 1170-1250, in the Early English style of architecture. The choir, north and south transepts and the cloisters, where canons studied and meditated, date from this period. In 1996 an additional chapel was created at the east end of the north choir aisle. Named ‘St Wilfrid’s Chapel’, it offers a place for prayer or quiet reflection. 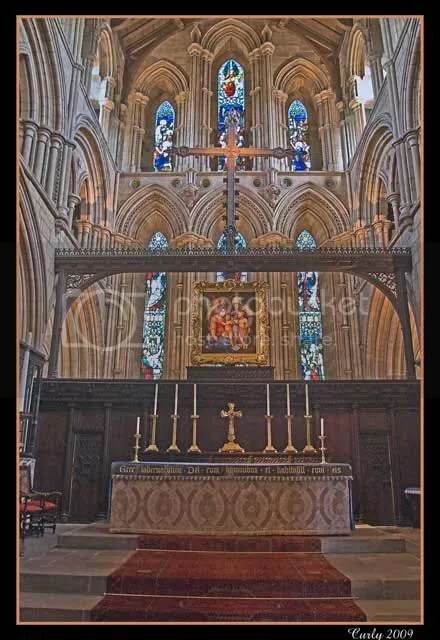 Since the Dissolution of the Monasteries in 1537 the Abbey has been the parish church of Hexham and today is still a centre for worship and witness to the Christian faith. This is the view of the high altar and the fantastic 12th. century architecture and glass. 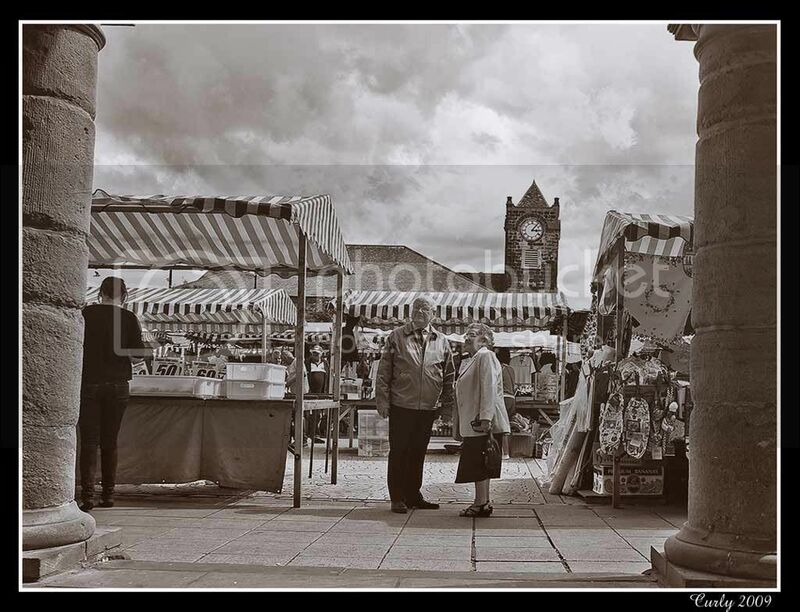 A busy Saturday on the market, it always seems busier when the weather is better, and all of the stalls are occupied. We can see St. Hilda’s Church in the background, where you can pop in for a cup of tea or coffee on market days. 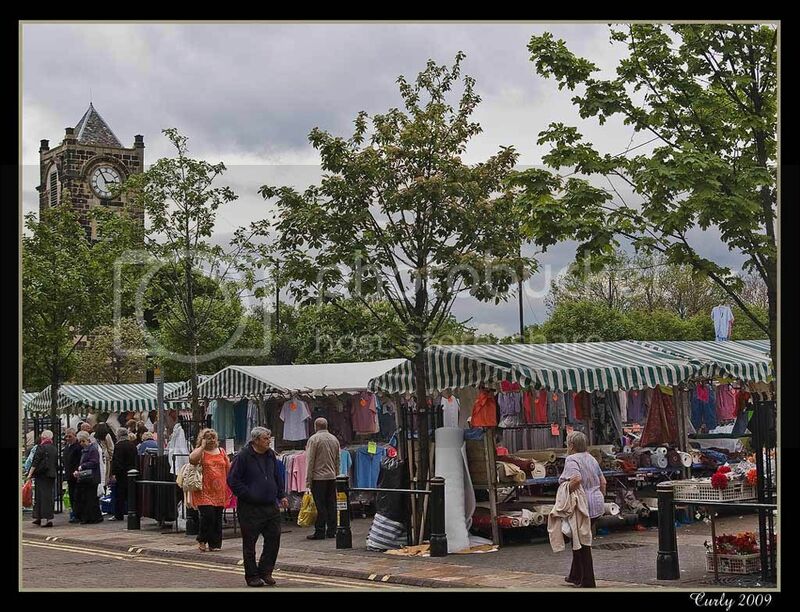 We have had a market here in South Shields for hundreds of years, regular markets are held on Mondays and Saturdays, and a “flea market” is held on Fridays, every week of the year, whatever the weather! My wife and I were married in this rather modernistic church in Quarry Lane, South Shields, 21 years ago, it sits on the edge of what was once a stone quarry, now largely an area of public recreational and parkland. The garden in the foreground is a favourite place to pose the bride and groom for photographs on their wedding day, so long as the photographer chooses the correct background, behind me are a number of open football pitches! 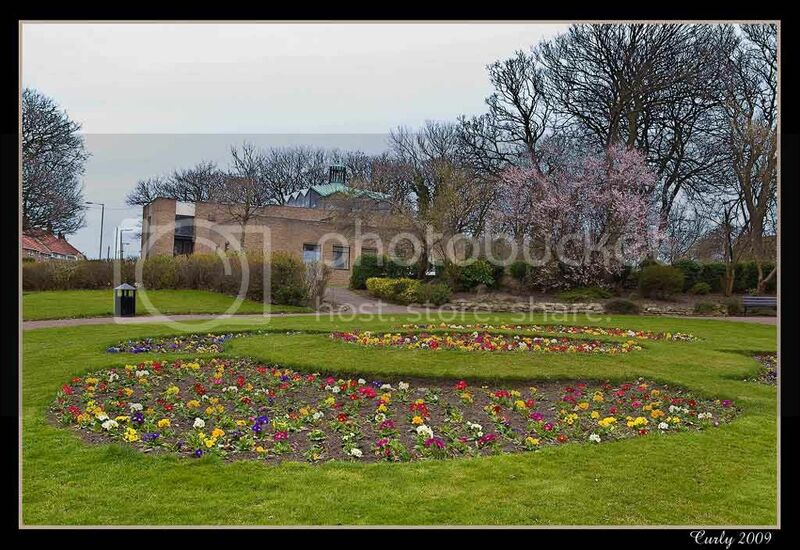 The original St. Mark’s church in South Shields was in Laygate, for local readers it was where the children’s playground is in St. Mark’s Avenue now, and the original St. Cuthbert’s church was in King George Road on the edge of Temple Park , it was a wooden building and it was sadly destroyed by fire in the 1960s. NEVER think about what you cannot achieve! David, this is for you. This young man was at the head of the parade playing his part in the band from the Living Waters Church in Laygate, South Shields, as we had our annual St. George’s Day Parade and service at St. Hilda’s Church in the Market Place. He’s a drummer and knows exactly what he is doing, he achieves what he wants in life. I’ve known is father and grandfather for many years and have worked with both of them, I know they will be proud and happy – lovely people. 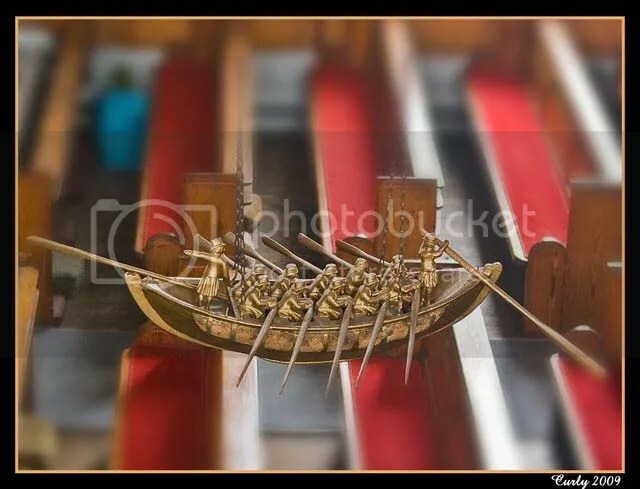 Inside the nave of St. Hilda’s Church, South Shields hangs a model of Wouldhave’s lifeboat.